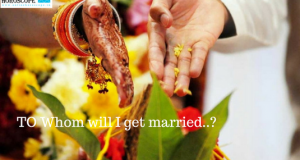 Home » Marriage Horoscope » Will he ever marry me? Most people who asks this questions, are true lovers. It means you love him and he don’t care or you don’t know he will marry you or not. But astrology have the answer. 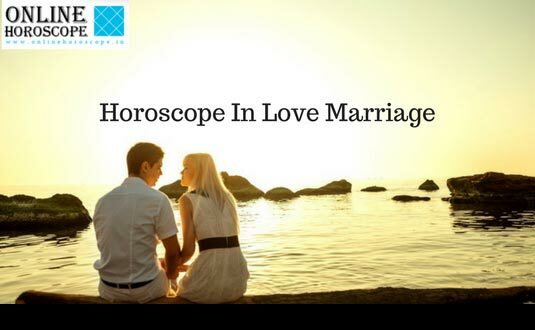 Just open the horoscope of your partner and let’s analyze if he will marry you or not. Jupiter is known for honesty and justice and Rahu is the dishonesty and injustice. Both planets are opposite to each other. Jupiter is only planet who encourage you to speak the truth, to fulfill the promises and to keep patience in relationship. Jupiter gives discretion so keep your faith in relationship. Jupiter is the only planet who bless you with caring nature. For all good qualities in a person, Jupiter is responsible. If Jupiter is strong in your horoscope, you will be able to prove your words. If its not good in your horoscope, you will remain in compulsion. On the other hand, Rahu make the people clever. Especially if your Rahu is in Ascendant or 5, 9th house of your horoscope, you do the promises and the time of action you will give the reason. Rahu always generates the reasons. Rahu lies like truth. If the Jupiter in your partner’s horoscope, sitting with Rahu, he will not be able to marry you because he is helpless. If Jupiter is alone anywhere in the horoscope, you will be owner of your own free will. You cannot escape, cannot cheat and cannot break the promises. There are many other ways to find out will he marry you or not but they are all technical. Like if I have to see will he marry you or not, I will match horoscope both of you. 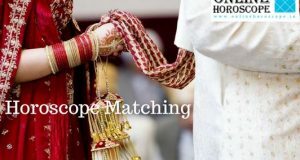 If the lord of 5th house (Love) have any concern with the lord of 7th house (Marriage) you have the chances of love marriage. This is first hard rule. If your 5th house have retrograde Venus, you will have love marriage. 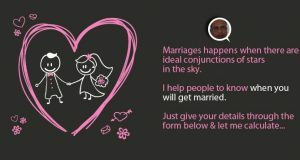 If you both have planetary exchange of Venus, Jupiter and Mars, you both will chances of marriage together. Many other rules are cannot be explained here due to very technical reasons. If you are trying to find it out yourself, you can follow the above simple rules of horoscope. 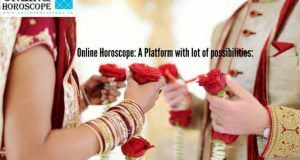 Tagged with: 6 ascendant chances of love marriage chances of marriage together Horoscope compatibility horoscope compatibility test jupiter jupiter and rahu jupiter in horoscope jupiters role in life love marriage match horoscope matchmaking online horoscope rahu retrograde venus when I will get married When will i get married will he ever marry me? will he marry me? will she ever marry me? will she marry me?